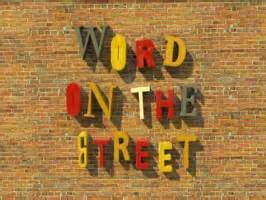 WORD ON THE STREET….National Book & Magazine Festival…Queen’s Park Circle, Toronto, Ontario today Sunday September 22 from 11 – 6. The Word On The Street’s Exhibitor Marketplace offers festival-goers a window into the Canadian literary scene, presenting everything from the largest publishing houses to the smallest niche magazines and everything in between. It also features a World Food Market at various locations throughout the festival. I’ll be at the Toronto Romance Writers’ booth from 5-6, and before that, I’ll be wandering around the festival checking out books and listening to other authors including TRW members Maureen McGowan and Eve Silver. This entry was posted in My books, Paranormal Romance, Toronto Romance Writers by Charlotte Copper. Bookmark the permalink. No paparazzi, but I came home with 2 bags of books. Like I need any more!